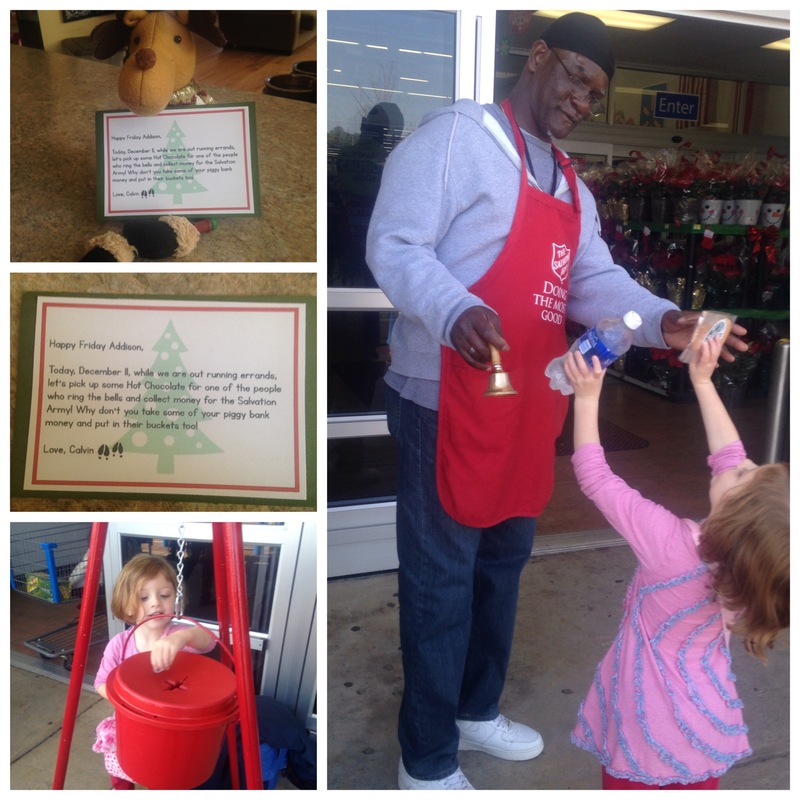 Today, December 11th, while we are out running errands, let’s pick up some hot chocolate for one of the people who ring bells and collect money for the Salvation Army. Why don’t you take some of your piggy bank money and put in their buckets too! Since it was warm out today, we actually bought a bottle of water and a snowman cookie for him! The gentleman was very surprised with his gift and kept saying Thank you!